A very good toothbrush especially for the low price. The Oral-B Pro 650 definitely ticks most of the boxes. It would be nice if it had a pressure sensor but perhaps I am being picky. It really is a good purchase. N.B. Find out my list of recommended electric toothbrushes here. The Oral-B Pro 650 electric toothbrush comes in two versions depending on what colour you prefer. It comes in both pink and black. It sits below the Oral-B Pro 2000 and above the Oral-B Pro 600. In essence it is an upgraded special edition Oral-B Pro 600 with a travel case and bonus Oral-B pro expert toothpaste Does that mean it is good value for money? What features does it have? Find out more below. The Oral-B Pro 650 comes at a cheaper price point so that usually means fewer features. However this electric toothbrush comes with a surprising number of features. The handle is made from a black rubberized material which is waterproof. This means that you can brush your teeth in the shower, if you so wish. The handle is also slim line making it easy to hold in the hand and control. The power on and off button is of good quality and gives firm feedback. It also comes with a 2 minute quad pacer timer which produces a slight pause in the brush every 30 seconds. This is the same 2 minute timer which is on the higher end brushes including the Oral-B Genius 8000. The Oral-B Pro 650 has only one cleaning mode which is daily cleaning. This mode is Oral-B’s best cleaning mode and will be sufficient for most people. The only time when I do not recommend daily clean is for people with sensitive teeth or wearing fixed orthodontic braces. There are however some areas the electric toothbrush does fall short. As a result of the cheaper price, the Oral-B Pro 650 does not come with a pressure sensor which is present on the Pro 2 -2000 or even Pro 2 -2500. This is critical to prevent you from pressing too hard with the toothbrush. It is also missing out on Bluetooth connectivity to Oral-B’s smartphone app and multiple cleaning modes including sensitive and Tongue Cleaning. The Oral-B Pro 650 uses the 3D oscillation rotation method of cleaning which is much better than the 2D oscillating rotating featured on the cheaper oral-b vitality. In daily clean mode, the Oral-B Pro 650 will oscillate 8,800 times and pulsate 40,000 times per minute. This has been proven to clean teeth 20% more effectively than manual toothbrushes by Cochrane (An independent research agency). There is also some proof that 3D Oscillating rotating performs better than sonic motion featured on Oral-B’s main competitor Philips Sonicare. The Oral-B Pro 650 can only use one single cleaning mode the daily clean mode. Daily clean mode although very good, does lacks the versatility of other electric toothbrushes in the Oral-B range. 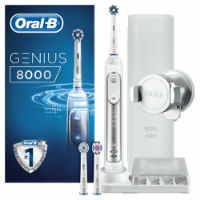 For example the most expensive Oral-B electric toothbrushes, the Oral-B Genius 9000 comes with 6 cleaning modes. The daily clean mode as mentioned above oscillates and rotates quickly and lasts for the recommended 2 minutes of brushing. It will suit almost everyone apart from people who have sensitive teeth, require a tongue cleaning mode or press too firmly with the toothbrush. For them the Pro 650 will not be the best option. 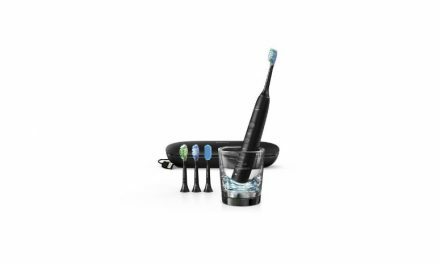 The Pro 650 comes with a cross action toothbrush head which is small and maneuverable. It allows good access even to wisdom teeth which are sometimes difficult to reach. The cross action brush head utilises a 16 degree angulation of the toothbrush bristles which allows it to clean close to the gum margin. It is my personal favourite brush head and would recommend it, providing you do not have sensitive teeth or fixed orthodontic braces. You should look to change the toothbrush head every 3 months or when the bristles start to become frayed, whichever is earlier. Oral-B electric toothbrushes do not have the longest battery life however it is still decent! The battery life is around 28 minutes. This works out at 1 week of use for a single person using it twice a day for the recommended 2 minutes. There is also a power indicator light that flashes green when you are charging it and stops flashing once fully charged. It should take around 16 hours to charge fully which is a fairly long amount of time to charge. A basic charging station is included with the Oral-B Pro 650 which uses a 2 pin plug. The charging station stands the Oral-B Pro 650 electric toothbrush upright meaning that the toothbrush does not get dirty whilst charging. Unlike some of the more expensive Oral-B electric toothbrushes, the charging station cannot hold additional brush heads. This is fine if you only intend to use one brush head. The charger comes with a 2 pin plug which fits into a shaving plug. If you do not have a shaving plug in your bathroom you will need a 2 pin to 3 pin adaptor. A good one of these can be picked up at any decent hardware store or Amazon. This toothbrush is more portable than the Oral-B Pro 600 electric toothbrush . It is roughly the same weight, weighing in at 122g without the toothbrush head. It does come with a travel case which gives it good protection when going on your travels. The travel case also holds 2 additional brush heads which is useful. The Oral-B Pro 650 is pretty small coming in at 23 cm x 2.5cm x 3cm including brush head. This means that it can easily fit into your hand luggage or suitcase when going on holiday. Sitting at £22.98 (+ free UK delivery) on Amazon, the Pro 650 is decent value for money. It also comes with a bonus tube of Oral-B pro-expert which is a great toothpaste. We reviewed this toothpaste here. The electric toothbrush comes with a 2 year warranty that can be extended to 3 years on the Oral-B Website. This means that you are guaranteed to get at least three years use from your electric toothbrush and means the price per month is less than a pound a day. Fortunately the brush head prices for the Oral-B range is fairly cheap. A 4 pack of cross action brush heads currently costs £10.94. This is around £2 a brush head which is great value. A brush head on average will last 3 months which means the replacement brush heads are less than a pound a month. 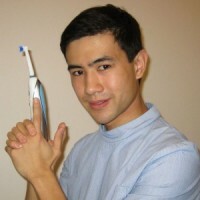 I would highly recommend checking out my recommended electric toothbrush list post. This will go into more detail about which electric toothbrush is best for you. 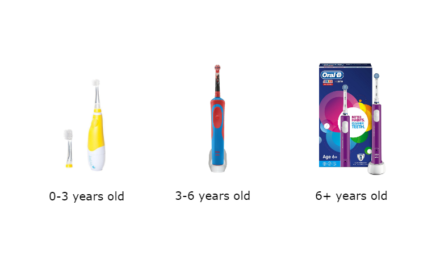 Is the Oral-B Pro 650 suitable for children? The Oral-B Pro 650 has not been designed specially for children. If you are looking for a children’s electric toothbrush I would recommend clicking here. 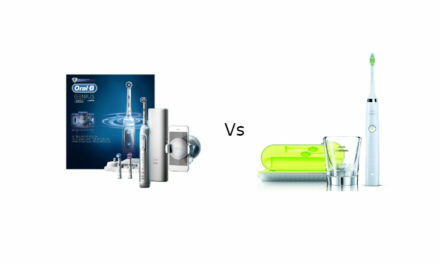 Should I go for the Oral-B Pro 2500 or the Oral-B Pro 650? This is really a personal choice. I prefer the Oral-B 2 Pro 2500 because it has a pressure sensor on it and the new extended battery life of 2 weeks. However the Oral-B Pro 2 2500 does not come with a bonus tube of toothpaste. Both electric toothbrushes if used properly will clean your teeth well. For me the Oral-B Pro 2 2500 just edges it. 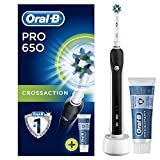 Is the Oral-B Pro 650 black in colour? Yes it is black and white providing you go for the Oral-B Pro 650 Black edition. 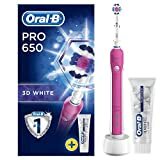 It is Pink and white if you go for the Oral-B Pro 650 Pink edition. How long does the Oral-B Pro 650 charge last? It lasts 28 minutes which is a weeks worth of charge for a single person brushing twice a day for two minutes. Is the Oral-B Pro 650 waterproof and can it be used in the shower? Yes it is indeed waterproof and can be used to brush your teeth in the shower. Does the Oral-B Pro 650 have a timer? Yes it does have a quad pacer timer that pauses every 30 seconds. It does not have a visual timer that you can accurately find out how many seconds you have been brushing. After the dentist recommended 2 minutes of brushing, the brush head double pauses and this lets you know when to stop. 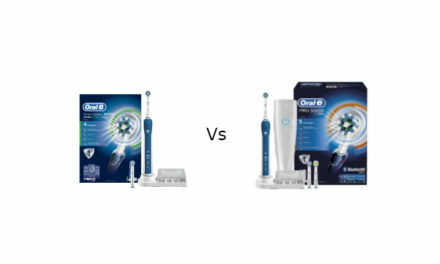 What is the difference between the Oral-B Pro 600 and the Oral-B Pro 650? In essence the main difference is that the Oral-B Pro 650 comes with a travel case, a bonus tube of toothpaste and comes in black or pink. I think that the travel case is extremely useful especially when going on holiday. Can I charge the Oral-B Pro 650 in a shaver socket? Does the Oral-B Pro 650 have a pressure sensor? It has a pressure control feature which stops the toothbrushes pulsation if you press too hard. It does not have a pressure indicator that flashes red when you are pressing too hard. 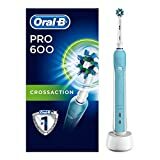 Does the Oral-B Pro 650 have bluetooth connectivity? No the Oral-B Pro 650 does not have blue tooth connectivity. The cheapest Oral-B that has bluetooth connectivity is currently the Oral-B Smart 4 4000. Can you connect the Oral-B Pro 650 to the Oral-B app? Yes you can connect it to the Oral-B app via sound recognition. This is not as reliable as bluetooth connection however it does work (kind of). The warranty for the Oral-B Pro 650 is 2 years which can be extended to 3 years if registered online. Is this toothbrush any good for whitening teeth? The toothbrush can make your teeth appear whiter by removing stains. There are no legal dental products open to the general public in the UK that can actually whiten the colour of your teeth. If you are interested in teeth whitening contact your local dentist. Can you use this electric toothbrush on crowns/bridges/implants? Yes you can use this electric toothbrush on crowns, bridge, implants any dental restoration. It should be no more harmful to these restorations than a manual toothbrush. A very good toothbrush especially for the low price. The Oral-B Pro 650 definitely ticks most of the boxes. It would be nice if it had a pressure sensor and some additional cleaning modes but perhaps I am being picky. It really is a good purchase.